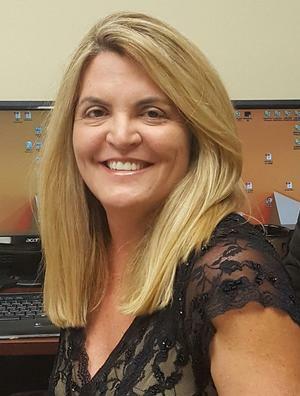 Born and raised in South Florida, Sandra Rolon is a Certified Public Accountant who is passionate about serving the accounting and financial needs of her clients. She brings more than 20 years of expertise in tax, financial, business consulting and investments. Ms. Rolon’s accreditations include a Master’s Degree in Taxation from Florida International University. She is a member of FICPA (Florida Institute of CPAs), AICPA (American Institute of Certified Public Accountants) and NATP (National Association of Tax Preparers) and a QuickBooks® ProAdvisor. Ms. Rolon is a Financial Advisor with GWN Securities, Inc. and an Investment Advisor Representative of Latitude Advisors, LLC. In addition to being a CPA, Sandra holds a Life and Health & Annuity License. Sandra is dedicated to assisting her clients achieve business success and building wealth, and she establishes practical sound tax advice and financial processes for life. Sandra is committed to delivering tax and financial consulting services that meet each client’s unique objectives. When not immersed in numbers, Sandra is devoted to fitness - training for triathlons and marathons. She has volunteered for the Leukemia & Lymphoma Society (LLS) for years. LLS is the largest voluntary health organization dedicated to funding research, finding cures and ensuring access to treatments for blood cancer patients. Sandra is also a team leader for kids’ sports programs. Ms. Rolon is a passionate professional who loves helping others through her work. She’s always available to advise her clients in multiple aspects of life. Sandra Rolon & Associates, CPA PA is a full-service accounting firm located in Miramar, Florida. We can provide you with assistance in all your tax, financial, and business affairs — assistance that will help improve your total financial well-being.